once more we are back at night of festivals, and again it is old market square, nottingham for 2 days of masquerading intrusions into public space. this time, night of festivals is on tour nottingham, boston, leicester and (…wait for it) slough. yes slough, rotc having rocked rio de janeiro, there was nowhere but down. 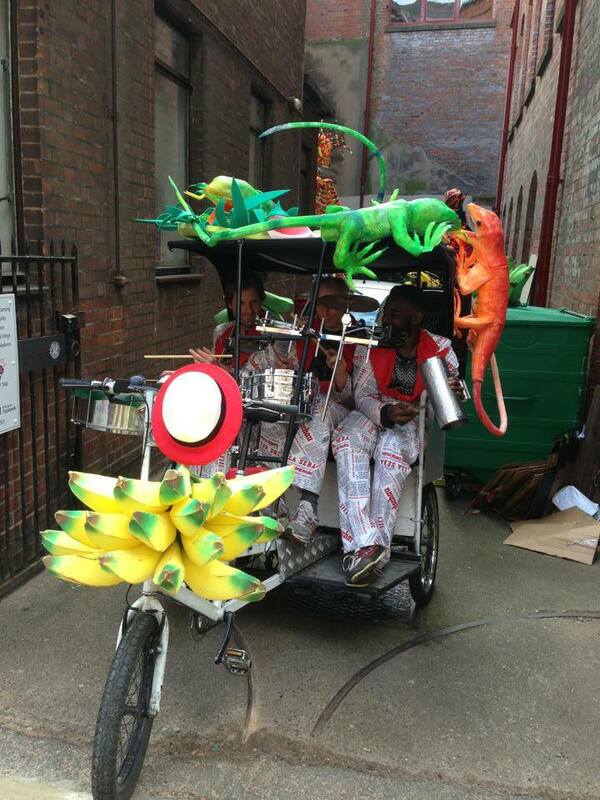 back to the story… mandinga are taking out small groups of costumed performers, each has their own style and routines and we provide conga, soca, frevo and cumbia: melodies through the PA mounted behind us and 3 percussionists on the back of the sambanator 3000 pictured below.